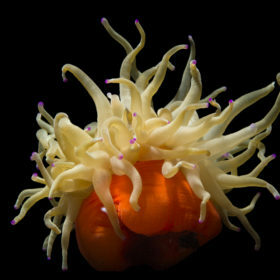 Flowers of the sea, the hydroids, anemones, corals and jelly-fishes, all bearing whorls of stinging tentacles around their mouths, are stubbed with tiny stinging nematocysts. Long coiled threads of toxic proteins uncoil rapidly and stab into an unsuspecting victim delivering a severe and immobilizing sting. Most nematocysts, however are too small to penetrate human skin. In the aquarium, fish and other mobile invertebrates seem to be aware of the danger and keep their distance. Jellyfish should not be kept in the aquarium. They and ctenophores should be kept in separate containers, such as large plastic garbage cans filled with sea water, without aeration or agitation to prolong their life. 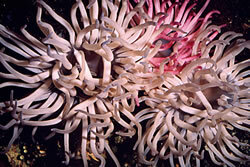 Hydroids, anemones, hard and soft corals should be fed every few days with freshly hatched brine shrimp, or clam juice pipetted directly over the polyps. 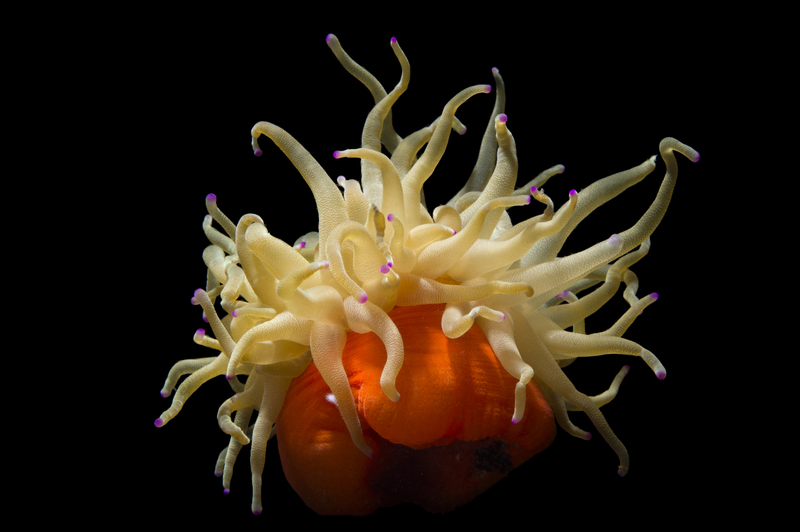 AS-18 COELENTERATE ASSORTMENTS: Colorful anemones from our tanks, hydroid, corals, gorgonians, sea pansies and if scyphozoan jellyfish are pulsating in our bay, they are included along with shimmering examples of the phylum Ctenophora.